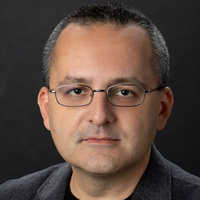 Prominent visualization specialist Alberto Cairo will share the most effective ways to use graphs, charts, maps and infographics to enable a more comprehensive and informative message to your audience. Aimed at a broad audience, Cairo’s presentation attempts to help build a literate citizenry, which he believes is the best antidote for nonsense. This seminar is sponsored by the Office of Research and Engagement. Cairo is the Knight Chair in Visual Journalism at the University of Miami. He’s also the director of the visualization program at UM’s Center for Computational Science. He has been a director of infographics and multimedia at news publications in Spain (El Mundo, 2000-2005) and Brazil (Editora Globo, 2010-2012,) and a professor at the University of North Carolina-Chapel Hill. He’s the author of the books The Functional Art: An Introduction to Information Graphics and Visualization (2012) and The Truthful Art: Data, Charts, and Maps for Communication.